On November 8, 2016, Prime Minister Narendra Modi announced the scrapping of Rs 500 and Rs 1,000 currency notes in a revolutionary attempt to combat the issues of black money, corruption, and the outflow of money funding illegal activities and terrorism. Following the demonetisation drive, the Indian government has been working relentlessly to promote the usage of digital payment solutions. With a phenomenal rise in the ownership of smartphones and introduction of easy-to-use payment methods like BHIM UPI and Aadhaar-linked payments, India has already ventured into its journey towards becoming a cashless economy. According to the statistics provided by the Reserve Bank of India (RBI), as many as 523.23 million cashless transactions worth Rs 93.63 lakh took place in November 2016 itself. Furthermore, the country has witnessed a robust rise in the number of debit and credit card holders over the last couple of years. From individuals to businesses, the adoption of digital payment methods has been extensive. However, in a country like India where cash still remains a preferred mode of payment for a majority of its citizens, there still are some major hurdles ahead. To begin with, digital payment solutions are largely designed for smartphones, and the smartphone penetration in India is just 24%, according to a global survey conducted by The Pew Research Center. Moreover, only a fraction of smartphone holders in the country are well-acquainted with technologies such as RFID, Infrared, Bluetooth and NFC. Moreover, upon taking into consideration factors like poor network coverage, low disposable income, and lack of cognisance, a smartphone’s usage often gets limited to making calls and sending messages only. While UPI is compatible with feature phones, the percentage of transactions made through them is negligible. A robust solution is needed to bring about a transformation in the digital payment ecosystem at a more granular level. Prior to the implementation of demonetisation, cash was the most widely used payment method in India. The reason for cash being the king for Indian consumers is simple; ease of availability and simplicity of usage. Universally accessible, there is no requirement for a ground-level infrastructure to use cash. On the other hand, mobile and online payments typically require a digital device enabled with internet and NFC. Further, most digital payment methods involve a two-factor authentication, i.e. pin and OTP, thereby making the entire process seem somewhat puzzling and complicated to many. Additionally, people from Tier II and Tier III cities generally prefer using cash over the digital methods due to lack of digital literacy. However, with the 4th Industrial Revolution dawning upon us, where modern technologies are blurring the lines between the physical, digital and biological spheres, things are looking up for companies in the digital payments sector as well. Soundwave technology, for example, is one such development that is addressing these challenges head-on. This technology facilitates a universally scalable and cost-effective means of payment by leveraging the benefits of cash-based and digital payment methods. The USP of soundwave-based payment systems lies its simplicity and convenience. It enables transactions on smart as well as feature phone. Makes the transaction faster, seamless in smart phone and also enable feature phone users to do transaction without internet dependency. In addition to all of this, soundwave-based payments are entirely secure, which can be a relief amidst the rising incidents of cyber frauds and security. Relatively inexpensive to deploy, soundwave technology holds the potential to create major transformational disruptions in the digital payment space. As more and more people turn to mobile wallets and UPI-based payment apps, the government’s dream of making India a major cashless economy may soon turn into a reality. 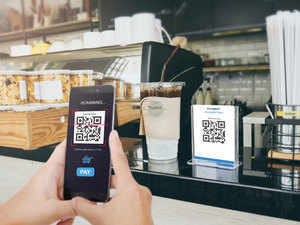 And, with 668.3 million users projected to rely on Soundwave technology by 2021, usage of cash as a mode of payment could possibly become rare in near future, if not obsolete.